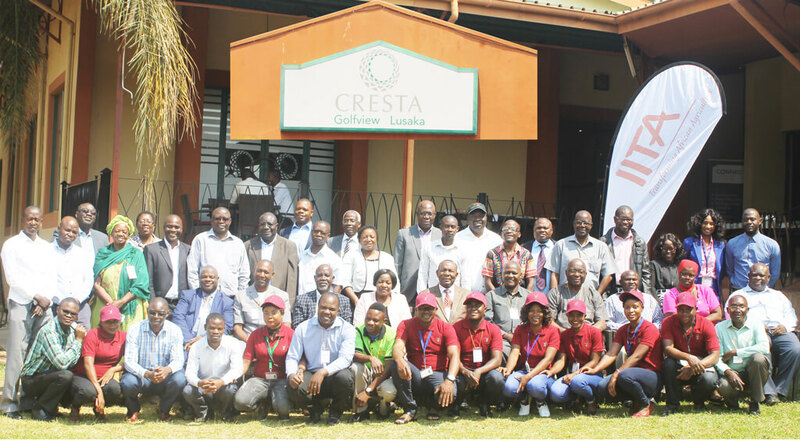 On 11-12 September, IITA-Zambia hosted the cassava compact stakeholders meeting of the Technologies for African Agricultural Transformation (TAAT) program to discuss its implementation in Zambia. In attendance were key stakeholders in the cassava sector in the country including His Royal Highness Senior Chief Kaputa of Kaputa District; the Deputy Director of the Zambia Agriculture Research Institute (ZARI), Mrs Monde Zulu; the Kasama District Commissioner, Mr Kelly Kashiwa; and other senior government officials from the Ministry of Agriculture and different NGOs. In his introductory remarks, Pheneas Ntawuruhunga, acting on behalf of the IITA Regional Director, welcomed stakeholders and reiterated IITA’s commitment to efficient collaboration to ensure success in delivering good technologies for livelihood improvement for all beneficiaries. In her opening remarks, Zulu thanked AfDB for their financial support and IITA for convening the meeting and leading the implementation of TAAT. 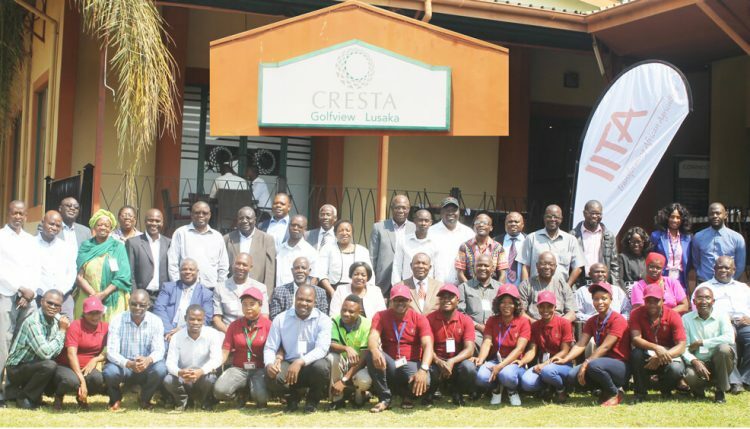 She reminded those assembled that the goal of the cassava compact planning meeting was to develop a high impact execution plan for achieving cassava transformation in Zambia through well-articulated production and processing systems, cassava markets, and a business development plan. The meeting focused on using the cassava value chain to unlock opportunities for millions of farmers, therefore discussions focused on the following: (i) Scaling up to reach millions of farmers and processors; (ii) Private sector-led value chain development and investments to unlock growth opportunities; and (iii) Food security, jobs, and income generation especially for women and youth. Technical aspects of developing the roadmap for TAAT Cassava implementation in partnership with ongoing cassava projects in Zambia were also discussed. There were presentations on technologies, marketing, institutional financing, public investment, and policies, laws and regulations for unlocking the wealth in the cassava sector in Zambia. The ZARI Director, Mr Moses Mwale, closed the meeting with a vote of thanks to AfDB and IITA for bringing TAAT and the cassava compact to Zambia.